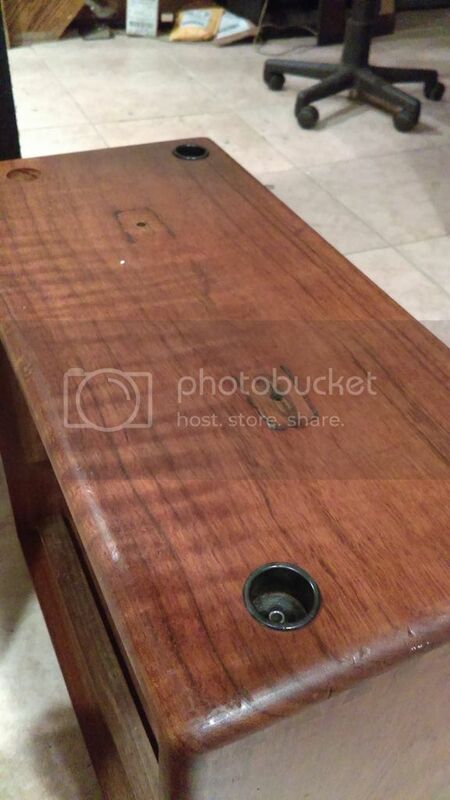 I thought it was Koa or Bubinga myself. 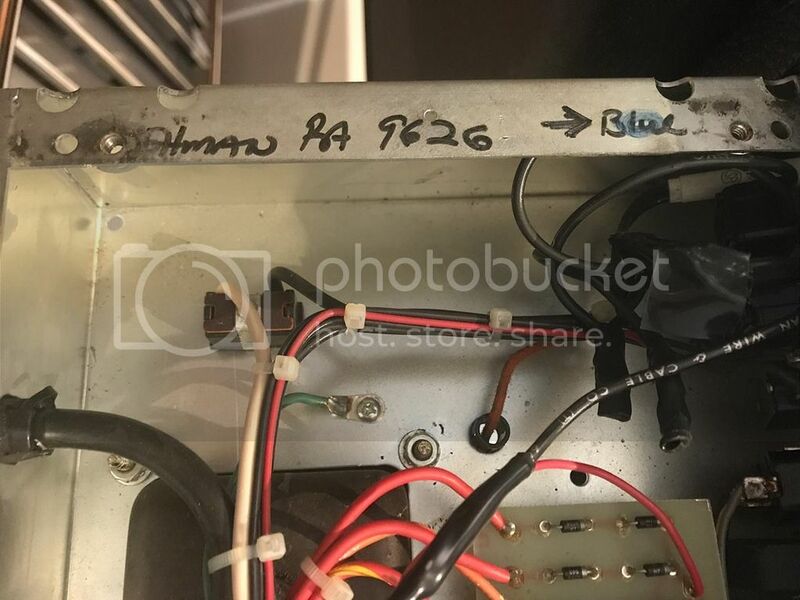 But on the back panel under one of the fan L-brackets, in the smallest sharpie writing ever, it says "4/88 Shedua". And then some indecipherable initials. So I googled Shedua after first thinking maybe that was someone's name! Sure enough it's a very cool and beautiful African wood that gets used for alot of decorative stuff. Thank for the info man! Gonna check my Boogie when I get home! What people have suggested, this serial doesn't fall in the blue stripe territory, am I missing something? 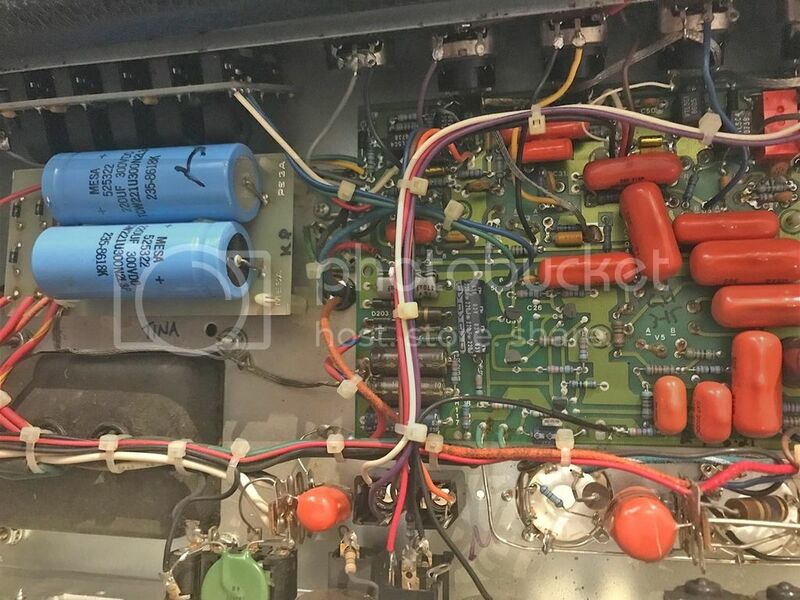 The amp has a blue marking on the back (top left), and it has a Full Power / Half Power switch on the front (runs on 2xEL34 and 2x6L6), how can I know it's a blue stripe aside from the serial number? I have attached two images below. Also anyone knows what these markings/signatures on the photo mean? It looks very much like a purple stripe that someone has scribbled over in blue - and I haven't the slightest clue why anyone would do that, before you ask. The stripe colours are almost invariably a single swipe with a coloured sharpie; yours is scribbled over, so IMO it has been "badgered" by some unknown end-user. 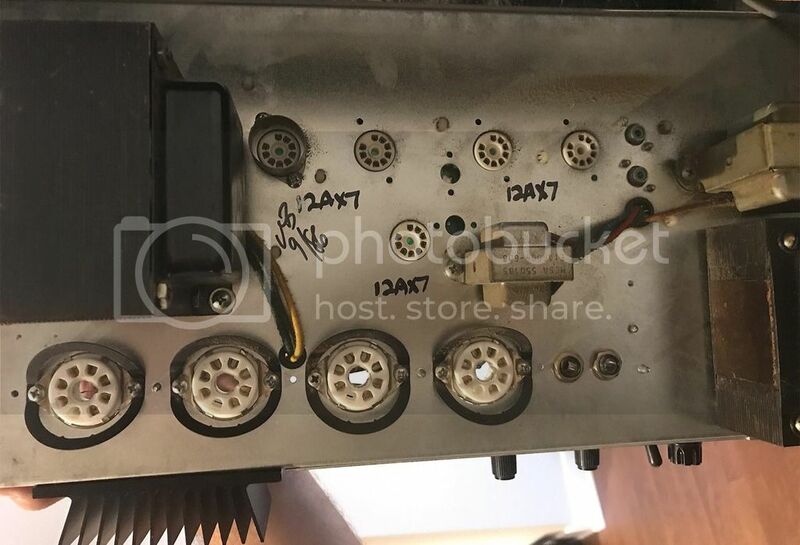 An internal shot would help us see if the person concerned has done anything more substantial/interesting/foolish with the circuitry. 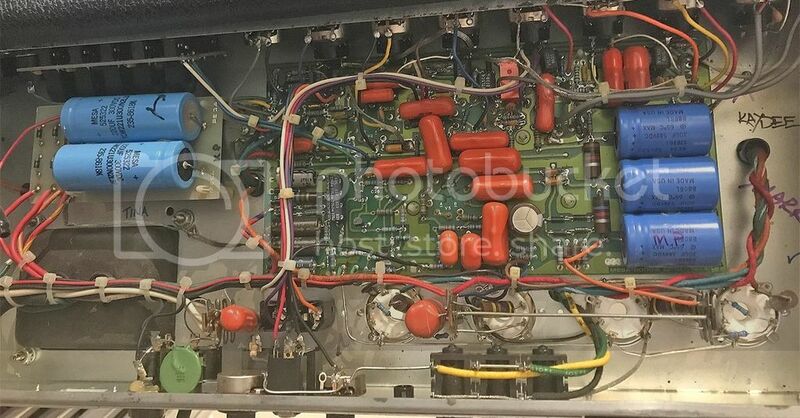 Can you post more back-panel shots of the Simul switch (there has to be one, or I'm barking up the completely wrong tree), and a front-panel pic too please? Last edited by Wyzard on Wed Jun 28, 2017 1:28 pm, edited 1 time in total. Wyzard wrote: It looks very much like a purple stripe that someone has scribbled over in blue - and I haven't the slightest clue why anyone would do that, before you ask. The stripe colours are almost invariably a single swipe with a coloured sharpie; yours is scribbled over, so IMO it has been "badgered" by some unknown end-user. 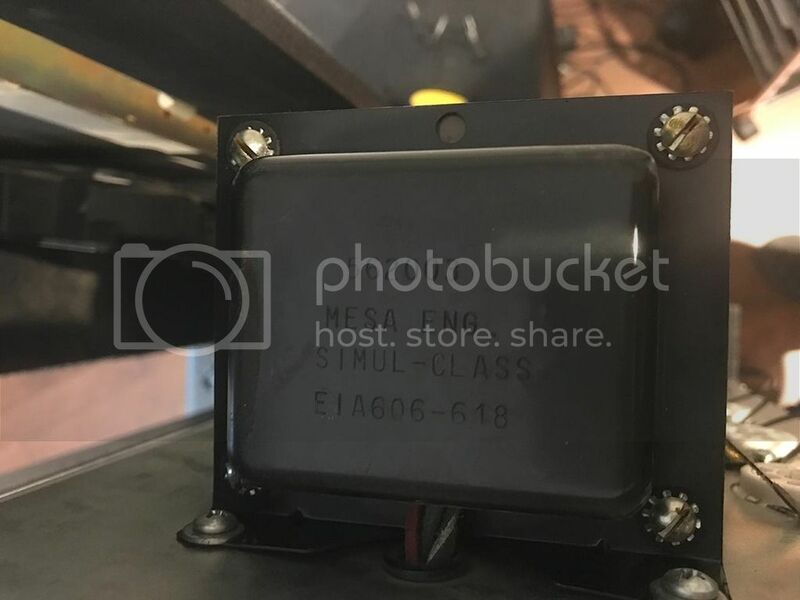 An internal shot would help us see if the maniac has done anything more substantial/interesting/foolish with the circuitry. Can you post a front-panel pic too please? If that's true, meaning the guy screwed me and I can't do anything about it now. I need to figure out how to open the amp to take pictures for you to check. 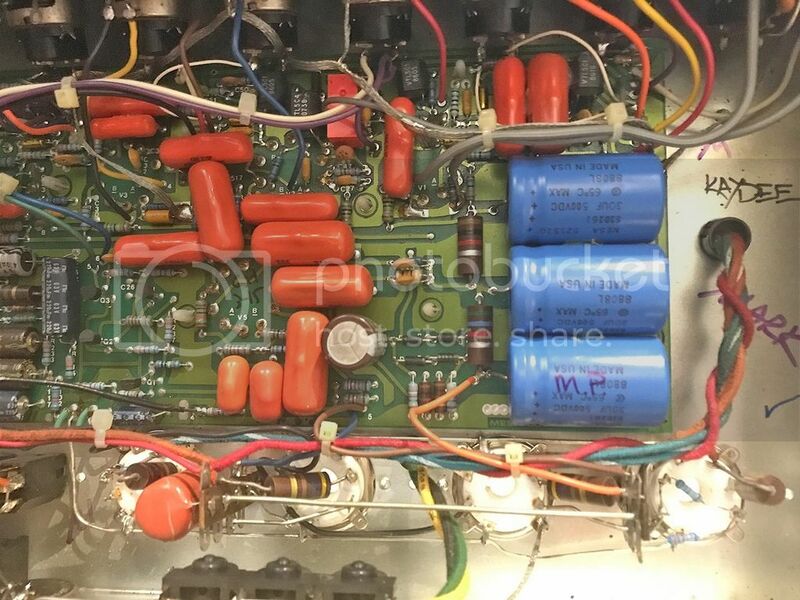 On a side note, the amp is VERY bright in terms of what I read on this forum as a property of the "Blue" stripe. And in terms of "gain", it has a lot of gain. I play with an EMG81 and there's plenty of gain on the lead channel, no need for a booster for ex. Does the Purple stripe has these "bright" and high gain properties? Don't worry yet - the actual stripe colour is a matter of taste for a lot of us, and doesn't affect the value much. Post the panel pics first, and we'll get on it.... When you find a way to hold the chassis while unscrewing the retainer bolts (I use a slave/faithful assistant to help me, as I have a dodgy hand), you can then slide the chassis out for more pics. Last edited by Wyzard on Wed Jun 28, 2017 1:35 pm, edited 1 time in total. Wyzard wrote: Don't worry yet - the actual stripe colour is a matter of taste for a lot of us, and doesn't affect the value much. Okay will try to do this today and take clear pictures. 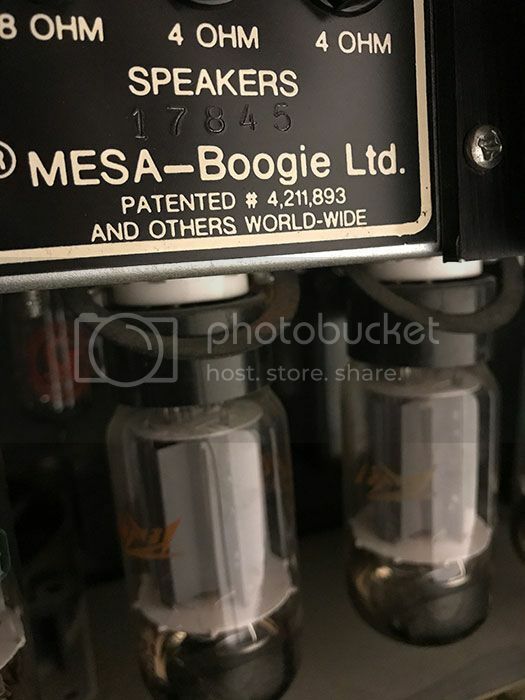 The amp costed me $1100 so I think that is a good price for a Mark III (old tubes on it which means I will need to change them). 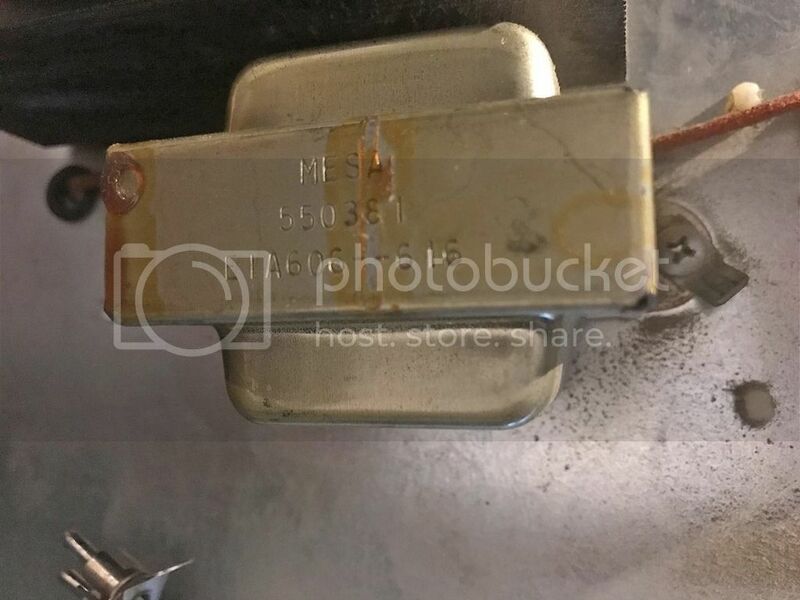 I found another one like this recently with an early serial but a very obvious and large blue stripe above the power cord. I wonder if it has the same note on the chassis... Will let you all know if I end up grabbing it. It appears this amp was updated to BLUE dot. 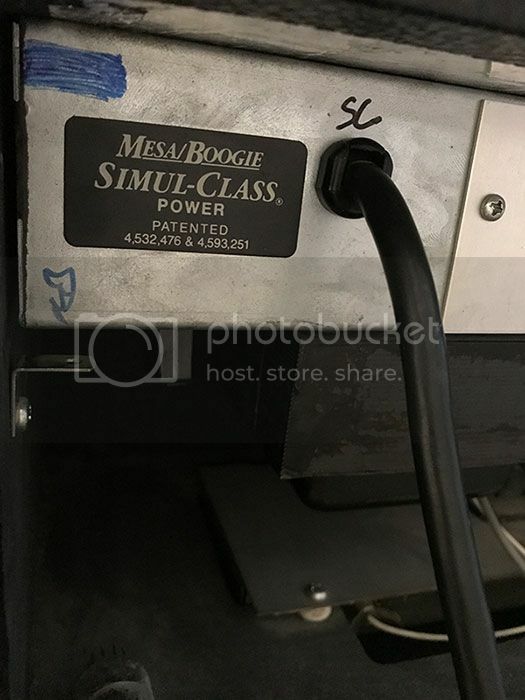 As far as mods I can do the 3+ mod ($200 to me plus mesa svc) and in this case, the Brighter Simul Class Version is likely best to get to the Metallica tones. If extreme gain is wanted the 3++ mod ($300 to me plus mesa svc) is the ticket. Neither of theses is as bright as that BLUE dot is right now. I do recommend including the R2 master on rear. That being said, would it be even possible to convert a purple stripe to blue stripe, like Mike B. said? And it seems like modding the amp (to 3+ or 3++) is not a good option if I want to play Metallica type of sound. As observed above, Mike is the authority - I just collect what info I can, like everyone else who's a Mk fan.... but he's been there, seen it and done it all. If you can live with the expense, put it in his hands and let him work his magic. I'm glad he concurred with my best guess, and that it wasn't factory - I must have learned something after all this time! I would have got my MkIIIs all ++ed if I was over there, instead of over here (reverse as necessary, according to your location). However, I'm not, so my solution has been to wait patiently for IIC+ and KS to turn up for sale, and trade in my MkIIIs as I go along. My Coli IIB may yet get sent over for some Mike magic (loop mod and tune up). He's a valuable resource, and a very nice guy; and we should give him as much work as we possibly can. Edit: post some pics of the front and back panels if you have a chance - I'm still curious about this. I've certainly never seen a "stripe" mod as heavy as this - at least, that didn't involve the factory - and I'm wondering whether it really does sound as ear-ripping as a factory "blue" (I love the blue, but don't play metal/anything heavy, so go figure...). Where do you find yourself setting the presence control, and what speaker is being used with it? 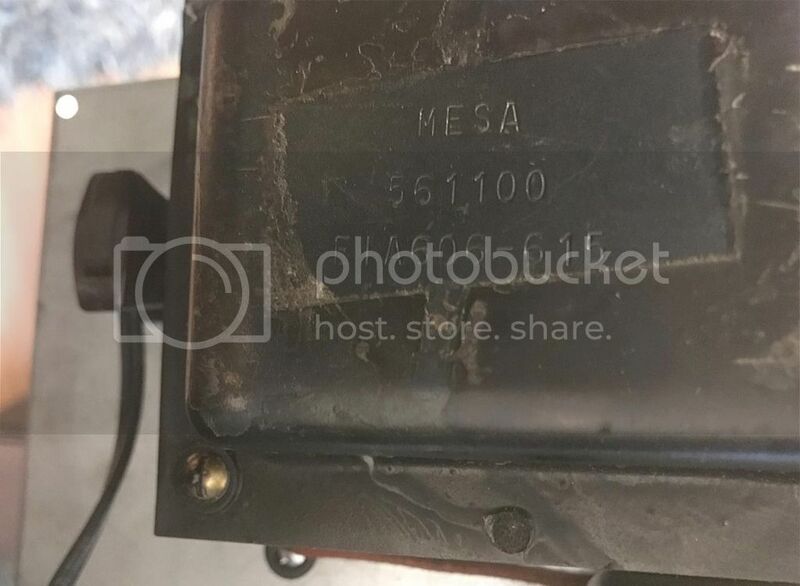 Anyone have any idea what an "A" before the serial might mean? I just picked up a Simul-Class Blue Stripe, A229##. I've never seen an "A" prefix before. I know they did some limited edition anniversary Mark IIIs at some point? I found a few online but the serials are not readable. s-fresh wrote: Anyone have any idea what an "A" before the serial might mean? I just picked up a Simul-Class Blue Stripe, A229##. I've never seen an "A" prefix before. I know they did some limited edition anniversary Mark IIIs at some point? I found a few online but the serials are not readable. I've reached out to a few Limited Edition owners and sellers and no confirmation yet. I did find one online without an "A" in the serial. Mike at Mesa also doesn't know. So far no luck figuring out the "A".